Effective immediately, foreign nationals holding valid Work Residence Permits for any engineering professions must register with the Ministry of Municipality and Environment (MME) and pass an examination administered by the MME. Foreign nationals who do not comply with the new requirements will not be allowed to renew their permits or register new employment contracts and they and their employers may face fines or other sanctions. Foreign nationals holding valid Work Residence Permits for any engineering profession regardless of the company’s business activities must register with the Ministry of Municipality and Environment (MME) and pass an examination administered by the MME. Deadline. There is no specific deadline to complete the two steps, but affected foreign nationals are urged to register with the MME as soon as possible. New visa applicants should register immediately after their Residence Permit is issued. Employees with an engineering degree who hold a valid Work Residence Permit for a non-engineering profession and do not work as engineers are exempt from the registration requirement. According to the Qatar Financial Centre (QFC), employees of companies registered under the QFC currently are exempt from the registration requirement. Consequences of noncompliance. Holders of Work Residence Permits for any engineering professions who fail to register with the MME will not be allowed to renew their permits or register new employment contracts with the Ministry of Administrative Labour and Social Affairs (MADSLA). Noncompliant workers and their employers may face other sanctions, including monetary fines of up to QAR 100,000 and legal actions. Foreign nationals who hold Work Residence Permits for engineering professions should be aware of the new registration requirements. 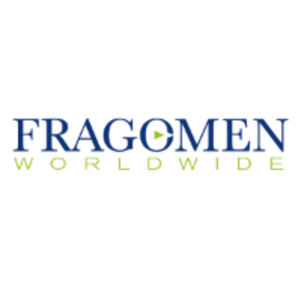 Fragomen can assist foreign nationals with the MME registration process, with the legalization of necessary certificates, and with changing professional services. Foreign nationals who do not work or no longer work as engineers but who still hold an engineering profession in their Work Residence Permit should consider changing their profession on their permit. Fragomen will continue monitoring the situation and will provide updates as they become available. This alert is for informational purposes only. If you have any questions, please contact the global immigration professional with whom you work at Fragomen or send an email to mideast@fragomen.com.